The Apple iPad, now with over 280,000 apps in the app store, has forced Android device makers to up the ante in the race for mobile device supremacy. Android apps clearly lag behind those available to iOS device owners despite hitting the 100,000 app mark earlier today. In an effort to become chief rival to Apple’s iPad, ending its tablet dominance, Samsung today launched the Galaxy Tab Developer Forum to assist developers in creating apps for the soon-to-be launched Galaxy Tab. In the full post, which goes into great detail on how to develop apps properly for the Galaxy Tab, Samsung GalaxyTab add-on installation, you may need to install the android development environment. Android developers can grab the development environment here. Some other items of note with respect to developing for the Galaxy Tab centered on the device’s specifications and how using the tablet’s features can make your app really standout. Make sure that high density display (HDPI) resources are in the application package, as the tablet display requires these resources. Most Android devices are API level 4 or greater. We recommend porting over our application with minSDKVersion=4 or greater. This allows you to add HPDI resources in the application package. If the system cannot find the HPDI resources and android:anyDensity=”true” has been set, the existing resources will be scaled which may not give the user the best experience. Further, Samsung goes so far as to include a sample app, “Blocks” to show how one can implement the recommended code to make sure applications scale to the new 7” Samsung Galaxy Tab. 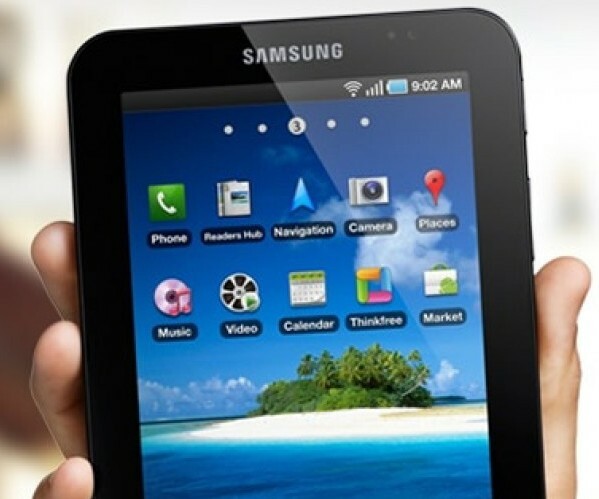 The Galaxy Tab, while a nice device, arrives to market nearly 7 months after the launch of the iPad, and today’s announcement of the Galaxy Tab Developer Forum, is a strong sign that Samsung is pulling out all the stops to make its foray into the tablet market not only a hit, but hopefully one that brings down the Apple iPad. Will they succeed? Leave your thoughts below on why or why not.